At the heart of the challenges of social cohesion, gender equality is one of the UN Sustainable Development Goals (SDGs). At the international level, several texts such as the 1979 United Nations’ Convention on Elimination of all forms of Discrimination Against Women (CEDAW) promote and guarantee gender equality. Despite many advances, in reality, inequalities between men and women persist in various areas such as employment or education. Sport, and football, is a powerful platform for advocacy and raising awareness for gender equality as it can help with abolishing all forms of discrimination against women and girls. 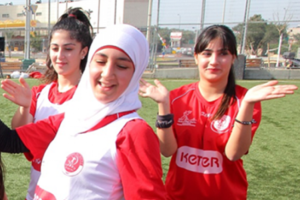 The human rights-based rules of sport can help to replace culturally discriminative norms that exclude women and girls from taking part, while sports programmes can also increase self-esteem and confidence of women and girls, empower them and help them develop skills needed to become equal participants and leaders in their communities. Also, men and boys need to be engaged in achieving gender equality in and through sport because it can promote better gender relations and cooperation. Here are some examples on how we can promote and achieve gender equality together. When discussing gender equality in sport, coaching is always one of the key issues, as statistics show an underrepresentation of women coaches in many disciplines, especially at the highest levels. 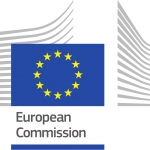 This is why the European Commission commissioned a particular study called “Mapping and analysis of education schemes for coaches from a gender perspective”. 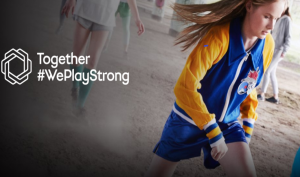 UEFA and it’s President Aleksander Čeferin have made the development and progress of women’s football a main priority, launching Together #WePlayStrong initiative in 2017 aimed at transforming perceptions of women’s football and encouraging girls to take up and continue playing the game. Working closely with its 55 member associations, the goal is to ensure that football is the number one sport for women across Europe by 2020 and has the support of various celebrities from outside the world of football such as Rita Ora & Millie Bobby Brown. Football Federation Australia (FFA) has taken an important step towards achieving gender equality in Australian football following the announcement of its Gender Equality Action Plan 2019. 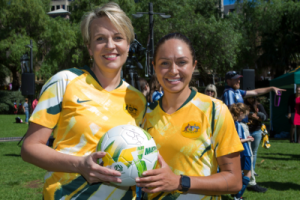 The ten-year plan focuses on five key areas including leadership, participation and facilities, gender pay gap, the Westfield Matildas, and future Westfield Matildas (youth development pathways). 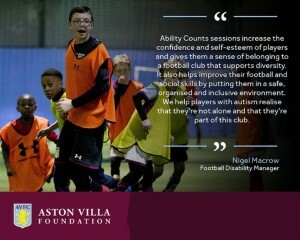 This includes initiatives like dedicated funding for women’s and girls’ football facilities, club education programs to change perceptions and tackle cultural issues within clubs, an appointment of more development officers to implement and support the rollout of new programs for women and girls, and enhanced marketing and promotion of women’s football across the board. 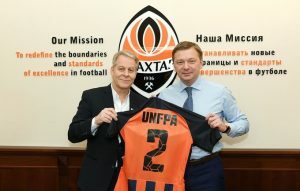 FC Shakhtar and United Nations Population Fund (UNFPA) have a cooperation agreement to promote and encourage a healthy lifestyle among families, children, teenagers and young people which has included the implementation of the 4 Hands Happiness responsible paternity campaign involving the Shakhtar senior team players. The initiative aims to challenge and change established societal stereotypes in Ukraine with regards to the traditional distribution of family responsibilities and to promote the sharing of household work and childcare. 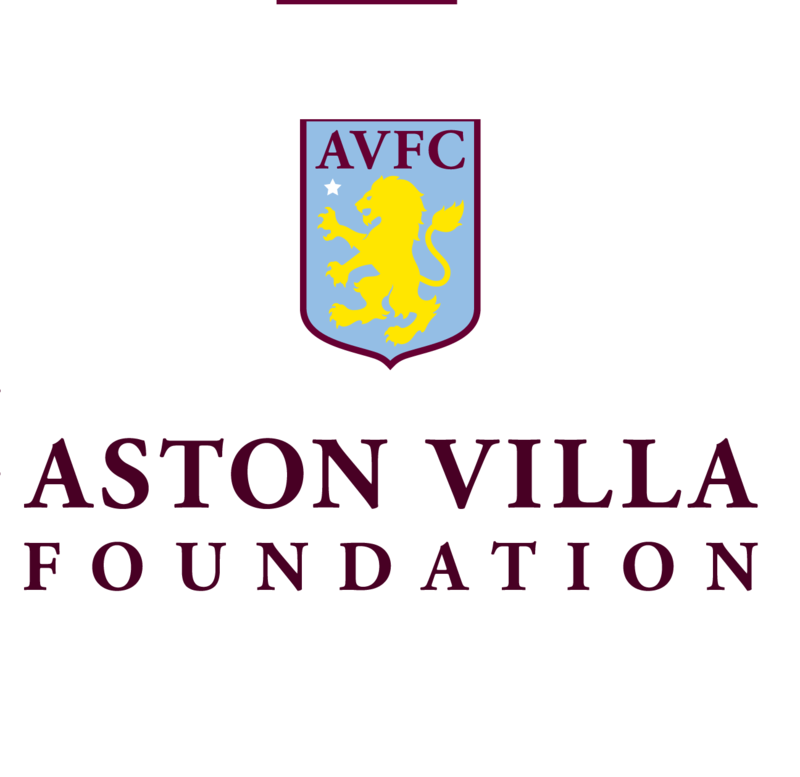 In 2013, Aston Villa Foundation became part of the Premier League Girls Football, a programme which is run jointly by the Premier League, Sport England, The FA and Football League Trust to encourage more females to play football. The sessions have been delivered by 87 clubs from the Premier League and Football League and saw more than 20,000 females playing football in the first year. The ‘Beyond the net’ programme is specifically attuned to the “world of girls”. Through the use of catch-ball, the programme aims to promote girls’ self-image and understanding their essential role in a morally just society. To coincide with the International Women’s Day, FC Barcelona launched an inspiring campaign called ”Football is for footballers” and a video using the hashtag #Igualdad to highlight its commitment to women’s sport and gender equality. Again the above are just some examples of the excellent work that the football family is doing to promote and work towards gender equality and there is of course much more being done at an international, national and local level.